Who doesn't love lazy days? Those kind of days where you decompress after a busy week, pamper yourself and just relax? Now that the cold has come to stay and the rain keeps on pouring, nothing sounds better than staying at home in some cozy sweatpants and a jumper -or even some fluffy pajamas- watching a movie/tv show with a warm beverage in hand in front of the fireplace. When it comes to lazy days, there are a few things that I consider must-haves, so today I'm here to show you my top 4 things that'll make your lazy day just perfect. I think the main goal of a lazy day is being relaxed and comfortable and one of the ways to do so is wearing cozy clothes. Soft jumpers, comfortable sweatpants, fuzzy socks and fluffy pajamas are a must! The best thing about cold days is the fact that a hot drink tastes so much better! I love to drink a nice cup of coffee or hot chocolate while sitting on my sofa watching a movie. I love blankets, especially if they are huge and fluffy! They are a must-have on a lazy day to keep you warm while you relax. The best way to spend a lazy day is by watching a good movie or tv show while laying down on your sofa. Netflix is my go-to place for movies/tv shows but if you don't have an account there are loads of other places you can watch your favorite show/movie. 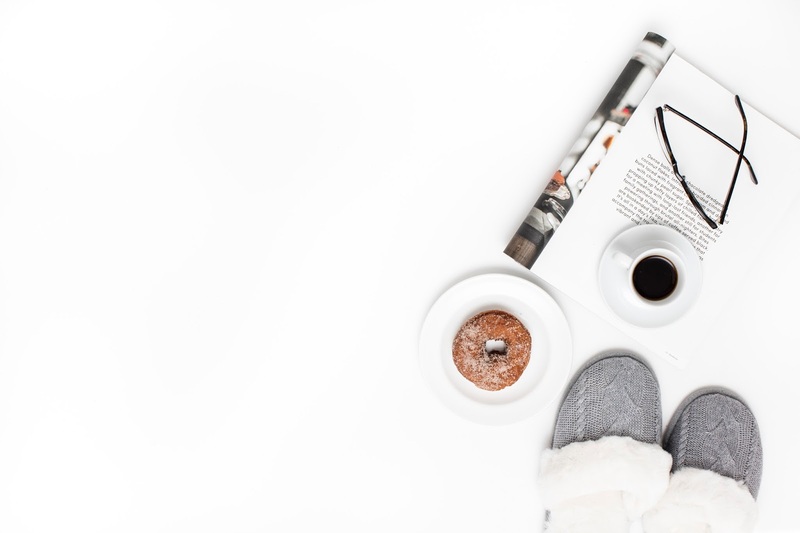 What are your lazy day essentials?